Teens Drive Smart Video Contest deadline is June 19; Win $20,000 for college! | Back to Basics Learning Dynamics, Inc. The Teens Drive Smart Video Contest is now accepting entries until June 19. If you’re 16-21, and have a compelling, creative idea of how to show teens to be safer drivers, make a short video (25 or 55 seconds) about it, then register and enter it for a chance to be a 2014 Teens Drive Smart Video Contest winner! The top filmmaker will receive a $20,000 college scholarship; and your video could be broadcast by Bridgestone Americas as a public service announcement on TV stations around the country. Ten finalists will win a new set of tires. 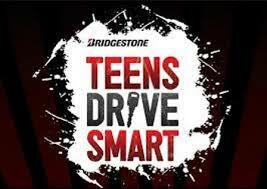 For more information, please visit Teens Drive Smart Video Contest.